Click here for lastest performances, keynotes and videos. Click here for latest thought pieces, tips and articles from Tania de Jong AM. Click here for Gallery to view photos from latest performances, events and ceremonies. Tania de Jong AM is a leading Australian soprano, social entrepreneur and international keynote speaker on leadership, creativity and innovation. She founded Creativity Australia and Creative Universe and works with disadvantaged communities through the 'With One Voice' choir social inclusion programs. 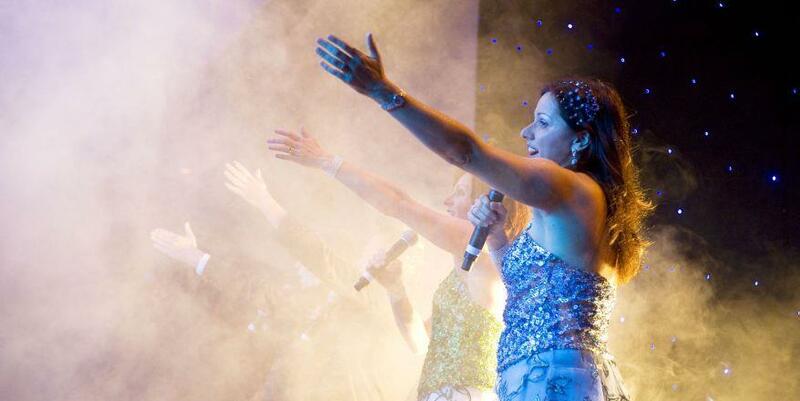 Tania presents keynote speeches and leadership programs and performs internationally as a soloist and with her group Pot-Pourri who have toured overseas on over 40 occasions and released 7 CDs. She is Founder of Music Theatre Australia Entertainment & Events. She is also Founder and Executive Producer of Creative Innovation Global presenting the acclaimed Ci2010-2013 conference events. For more info. Tania provides a range of performances and workshops which may be booked through Music Theatre Australia.